Though the party scenes of Metro Manila and Boracay beach may steal the headlines on the Filipino club circuit, one venue on Bohol Island stands apart as a bastion of sonic substance, thanks to a world-class sound system from Funktion-One. Located in Tagbilaran City on the island of Bohol in the Philippines, Atmospheres is a club that sidesteps the bombast of Boracay and Manila and instead concentrates on delivering the highest quality sounds to a discerning crowd of both audio connoisseurs and casual clubbers. Established in 1998 by Raymund Ong, the venue has successfully built a reputation for attracting the best electronic music artists and providing them with the best possible platform on which to perform. This platform is built around a top-end Funktion-One sound system, which was upgraded at the start of the summer. As Fritz notes, however, the success of this set-up comes from a real understanding of audio – not just buying in to a respected brand, but fully committing to the principles that underpin it. “Atmospheres is better than any club in the Philippines because we use Funktion-One and we use it properly,” he states. 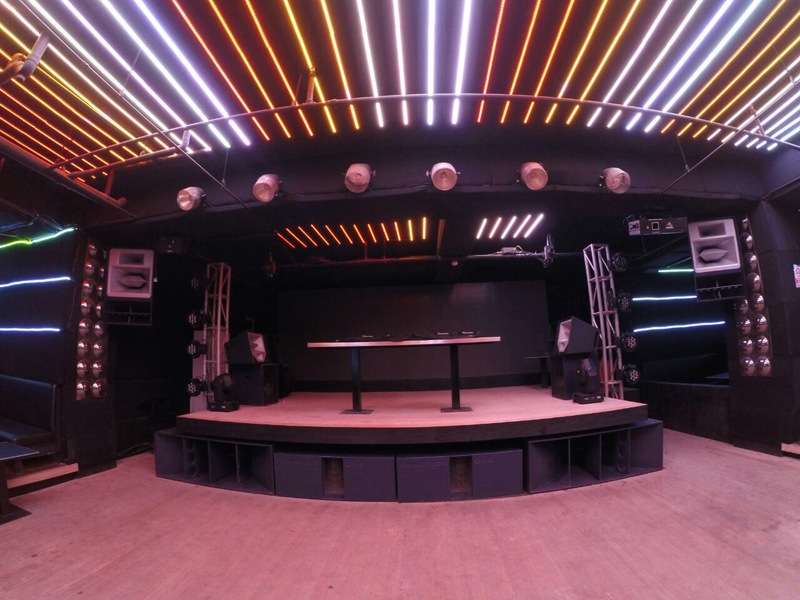 Stage Craft International, Inc. supplied the Funktion-One loudspeakers for the club. The system utilises the Resolution 2 full range loudspeaker enclosure, supplemented by the BR118 Bass Reflex enclosure for its monitoring systems. For the main house speakers, a couple of Evo 6E high intensity loudspeakers are in place with Evo 6SH skeletal units providing additional coverage. A pair of F215 double 15in bass enclosures, a pair of F221 bass enclosures, an F88 unit, and three Infrabass 218 bass loudspeaker enclosures further add to the auditory experience designed by Funktion-One design engineer, Mike Igglesden. The success of the club is testament to the management’s unerring faith in a singular vision: to create an environment where musical talent is given a platform to flourish. Atmospheres doesn’t try to compete with the hype of Metro Manila’s most popular clubs or the frenzied buzz of Boracay’s beach front. Instead, buoyed by the confidence that comes from assured quality, it brings a unique experience to the club scene in the Philippines. By appealing to the auditory senses, it exists in a class of its own.